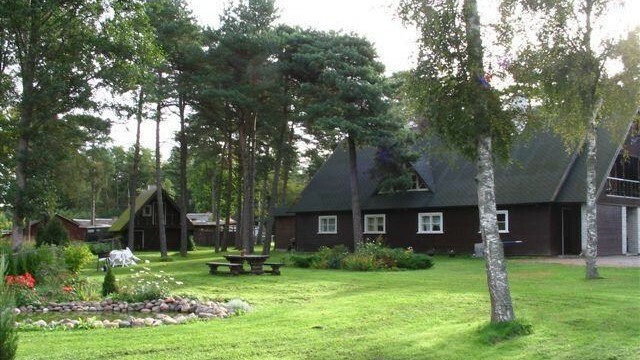 Daissy holiday village is situated 11 km towards Sääre from Kuressaare. A sandy beach area is about 300 m away from the Daissy. There is a bike trail to Kuressaare. Daissy campsite has 39 beds. Additional beds can be added to some rooms. Use of our bed linen and bath towels is included in the price. Territory is big, perfect for camping and caravans. For caravans we offer: power supply, water tank refills, waste tank emptying. There is a bus stop nearby. 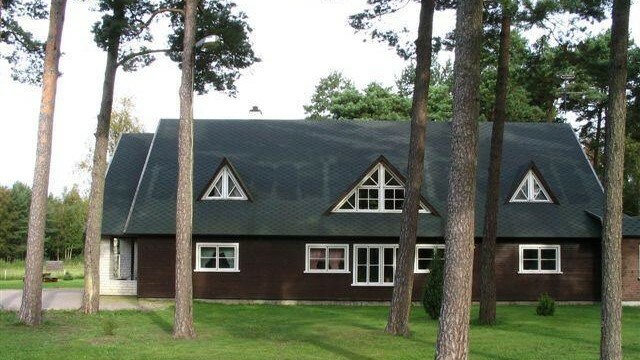 Upon request we also offer transport from Kuressaare bus station and airport to the Daissy. 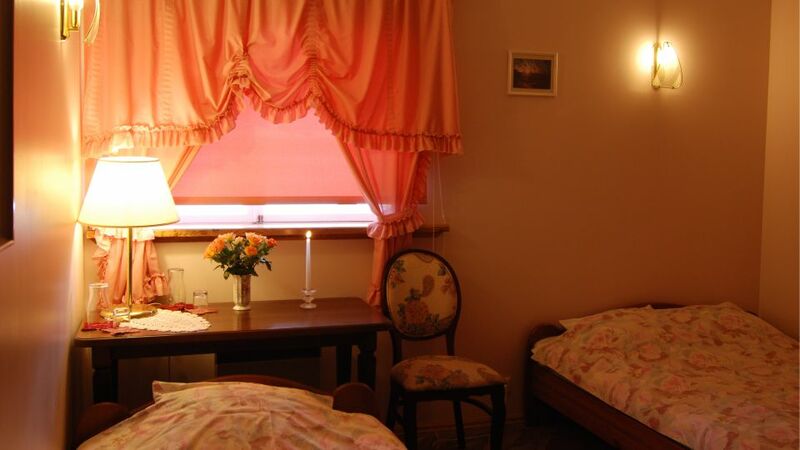 This service is free of charge for guests who will be staying with us for at least 3 nights. Breakfast (upon advance request). During summertime, lunch and dinner can be cooked in an outdoor kitchen that all the overnight guests can use free of charge. Some of the houses also have private kitchens. 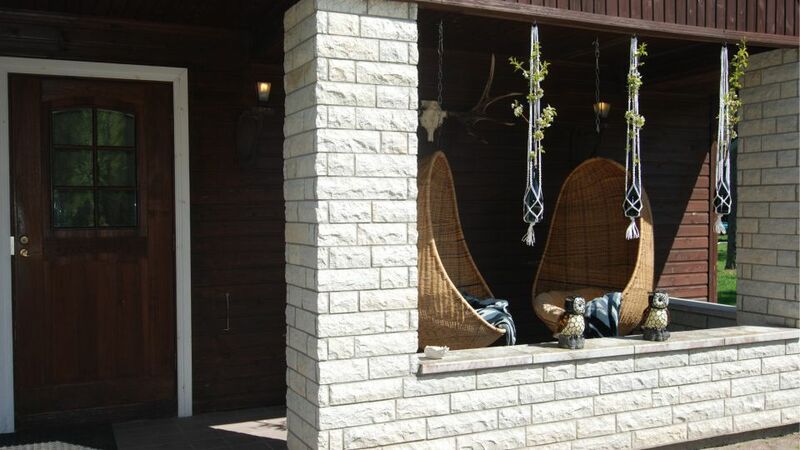 All the houses have patio furniture and barbecue equipment. 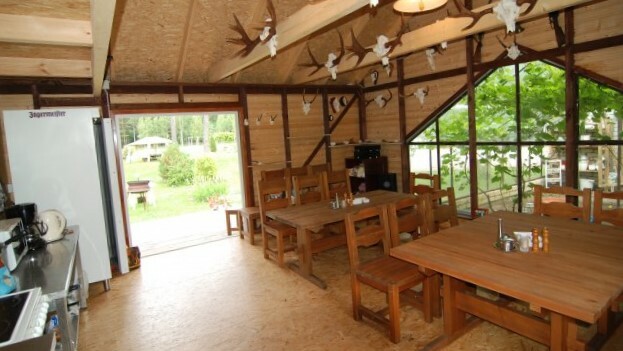 During summer, you can also dine at the nearby Saaremaa Hotel restaurant or Mändjala camping restaurant or bar. Possibility to do laundry and iron clothing. 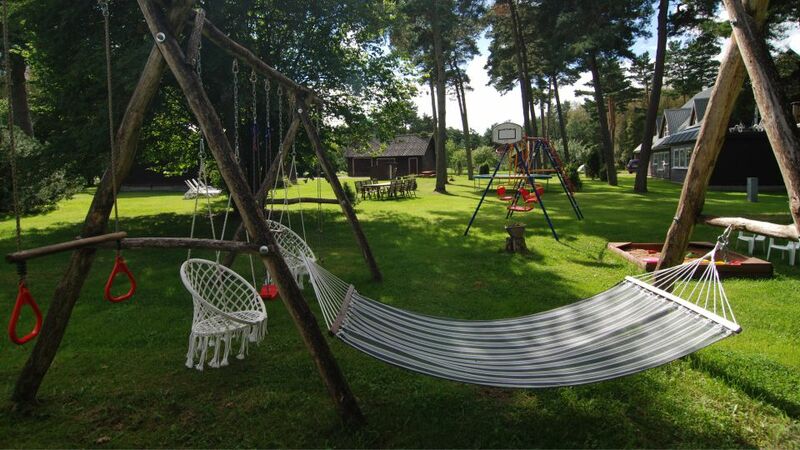 For the kids, we have a sandbox, trampoline, swings and toys. Protected landscape of Järve dunes is 1.5 km away. 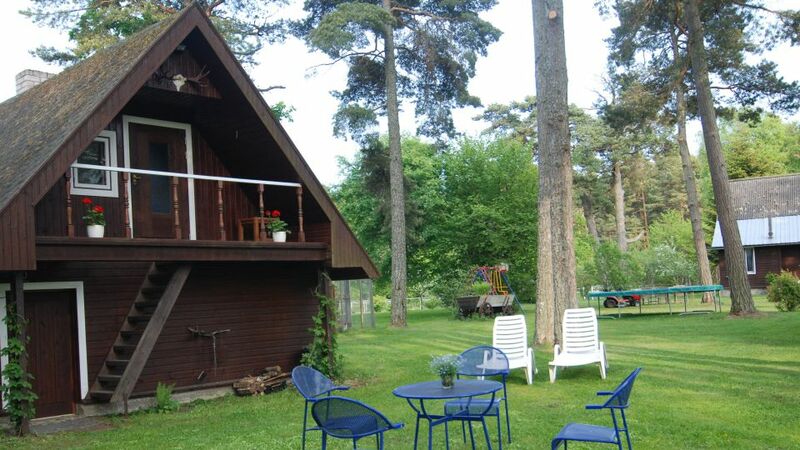 Saaremaa Hotel tennis court is 300 m away and the golf course is 10 km away. There is a surf club at the beach, 1 km away from the Daissy. There is Highland cattle living on the nearby pasture. The whole area has free Wi-Fi. 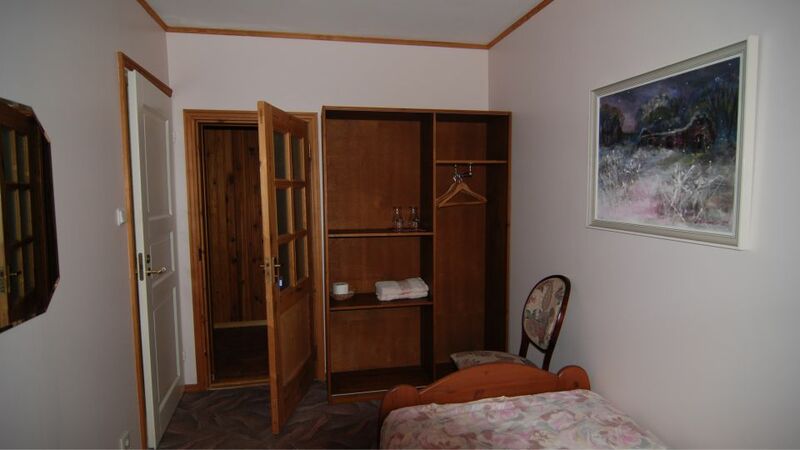 There are 2 rooms for 2 people each and 2 rooms for 3 people each on the ground floor of the main house. 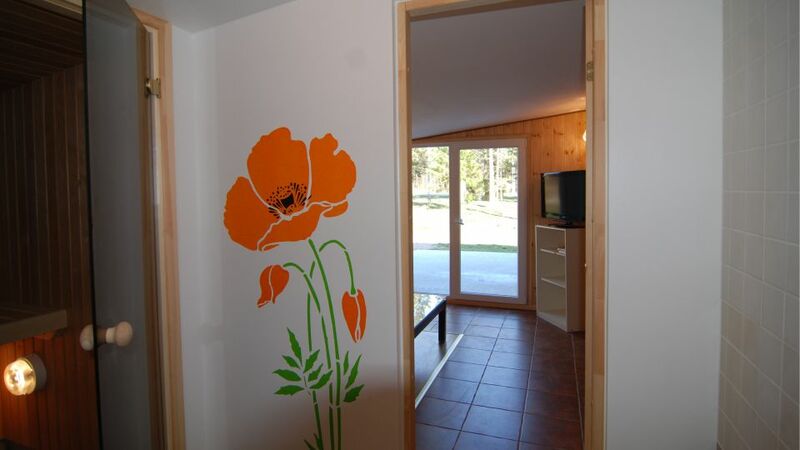 Simple 2 person rooms have 2 single beds and a private toilet/shower. Bed linen, bath towels and hand towels are included in the price. There is a TV and a fireplace in the common room. Possibility to turn on heating. 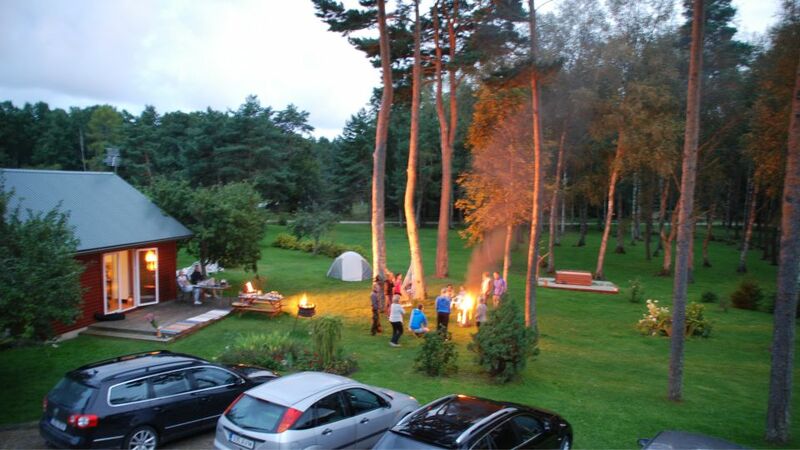 During summertime, all overnight guests can use the outdoor kitchen free of charge. There is patio furniture and barbecue equipment outside. 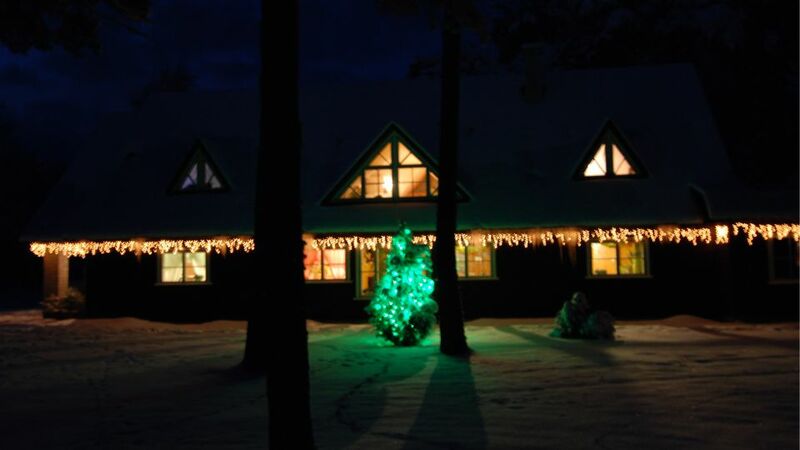 There are 2 rooms for 3 people each and 2 rooms for 2 people each on the ground floor of the main house. 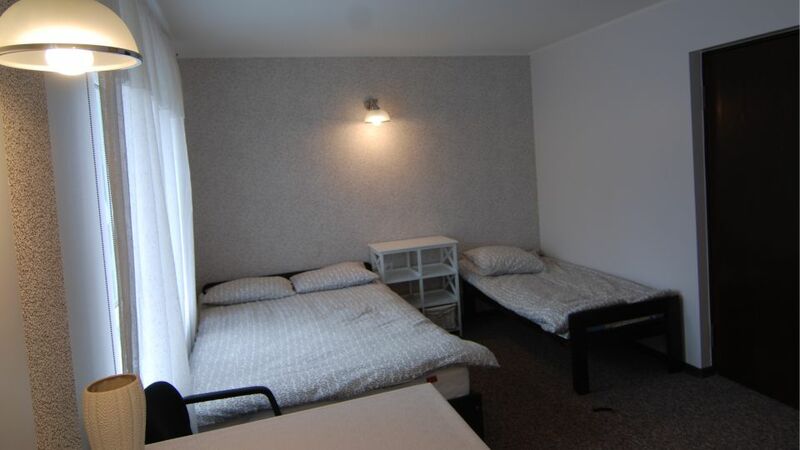 Simple 3 person rooms have 1 double bed and 1 single bed. Private toilet/shower. Bed linen, bath towels and hand towels are included in the price. 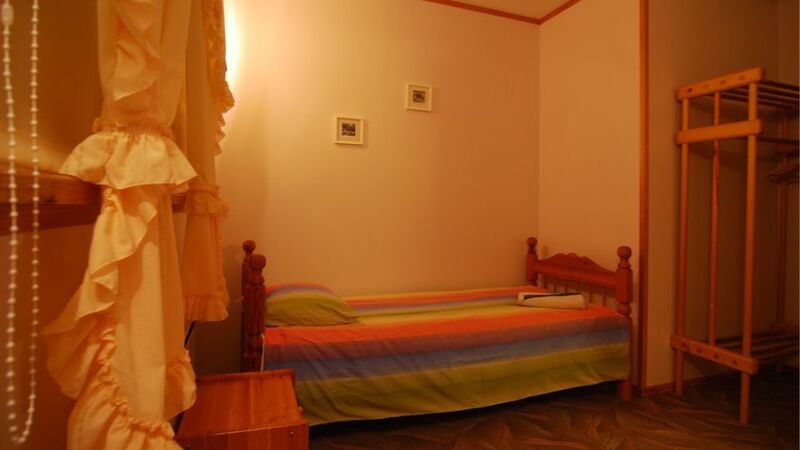 In the guest house there are 13 beds for adults and 1 bed for a child. Length of the child’s bed is 160 cm. 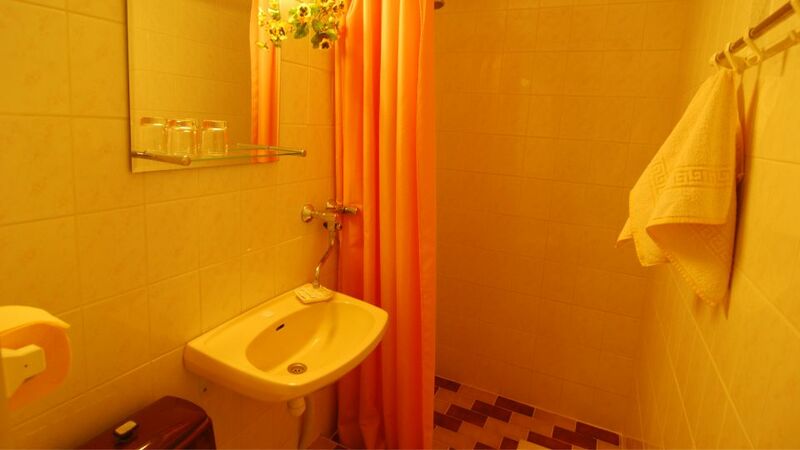 The guest house has 3 rooms and 3 toilets/showers. 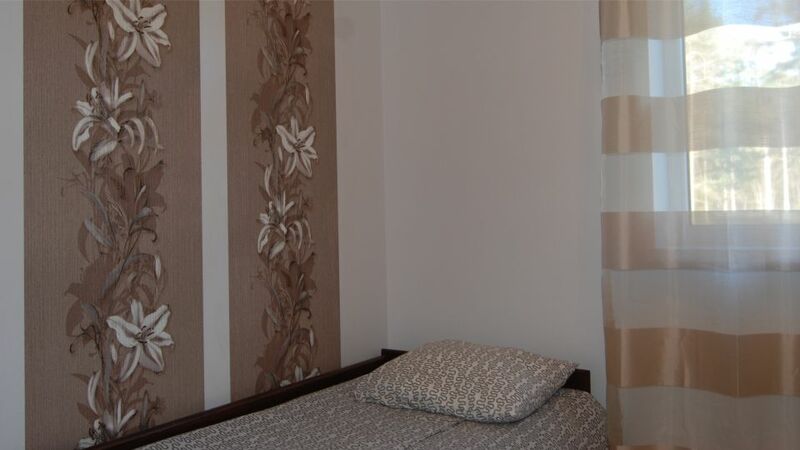 2 bedrooms are on the ground floor. 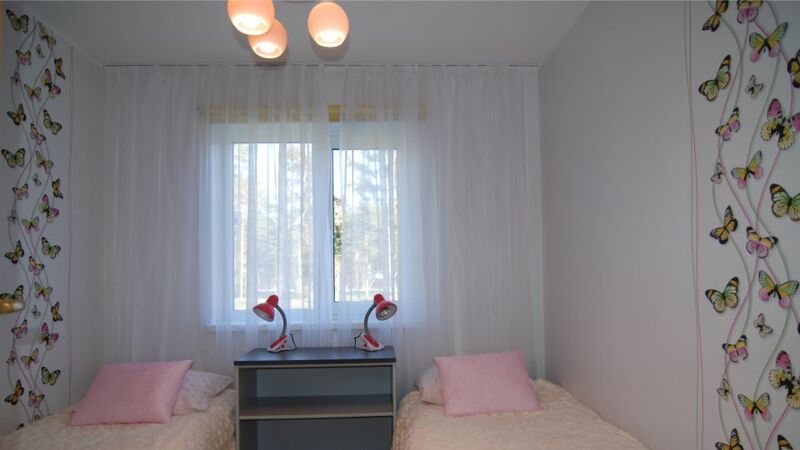 One room has 2 wide beds and the other room has 1 child’s bed (160 cm in length) in addition to 2 wide beds. 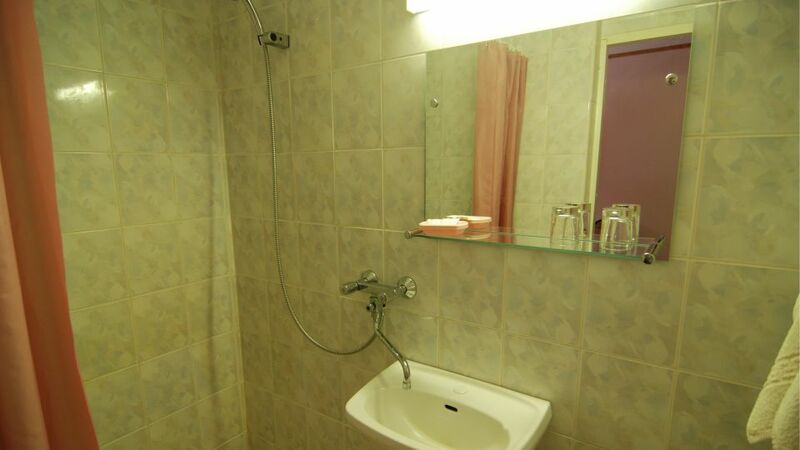 Both rooms have a toilet/shower. 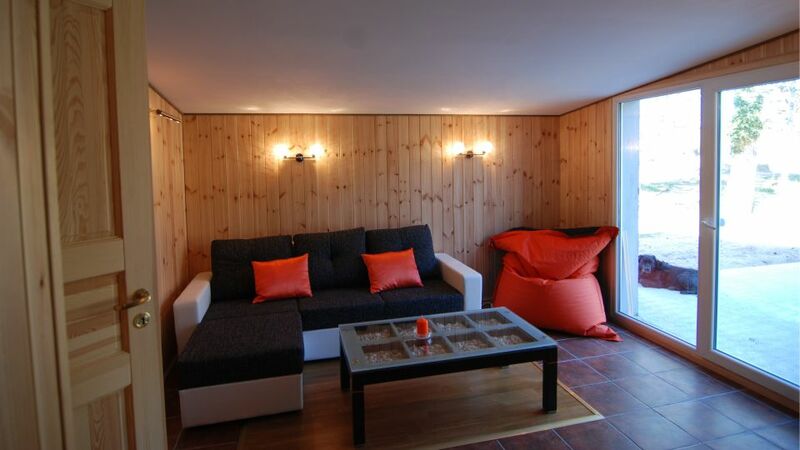 On the first floor, there are family room for 5 people total. 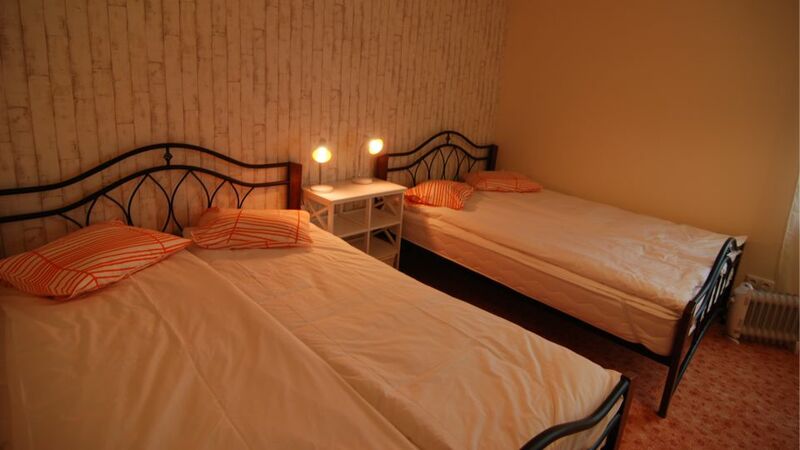 The open room has 2 single beds and the back room has 1 wide double bed and 1 couch for one person. 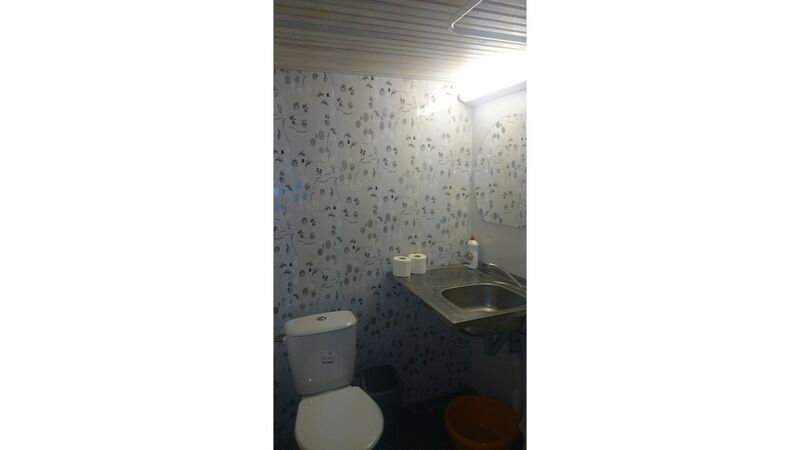 The private toilet/shower of this room is on the ground floor. 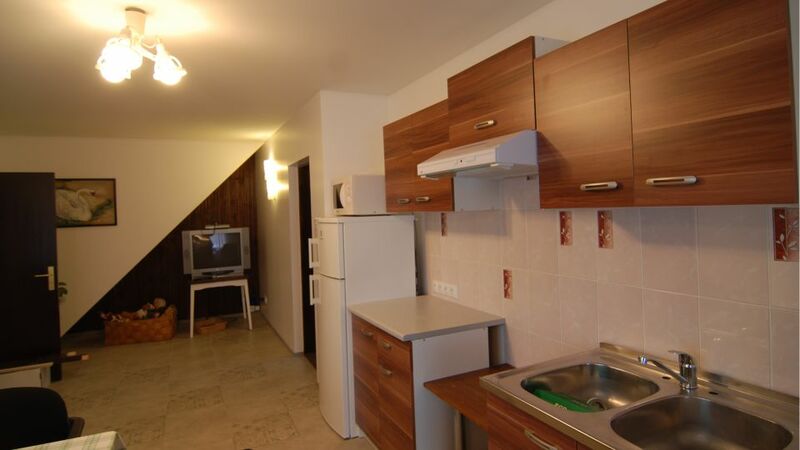 The kitchen has a small stove, fridge, microwave, electric kettle, kitchen supplies and dishes. Dining table. 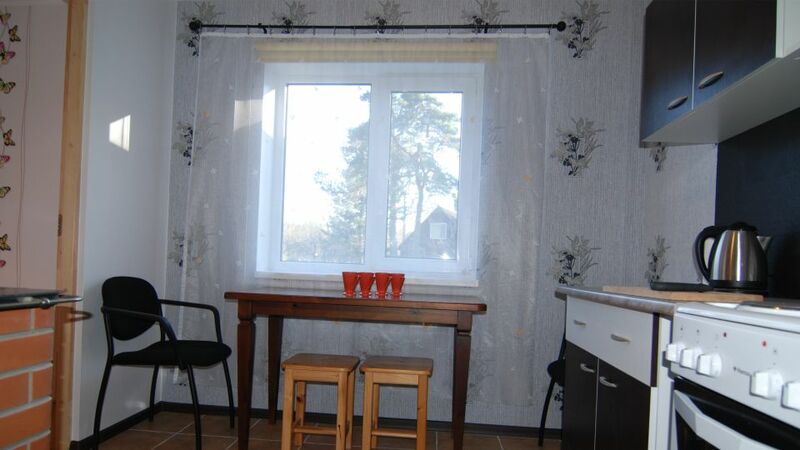 Guests of three rooms share the kitchen. There is patio furniture and barbecue equipment outside. Free parking close to the house. 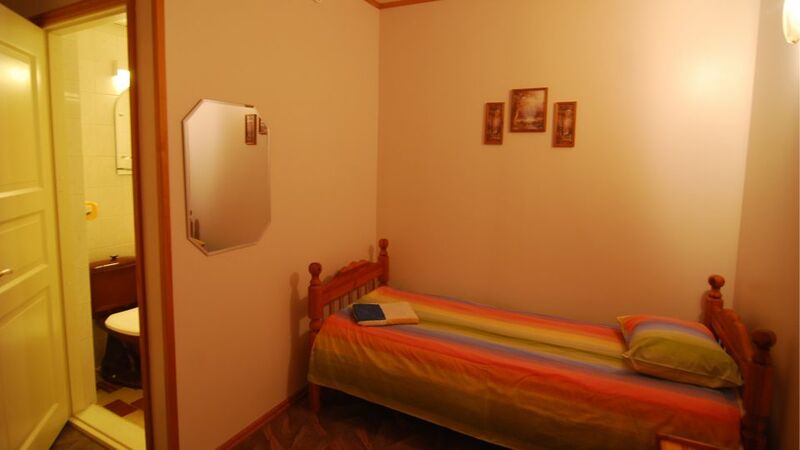 This room has 2 wide beds (160 cm and 120 cm wide) and 1 child’s bed (160 cm in length). Private toilet/shower. 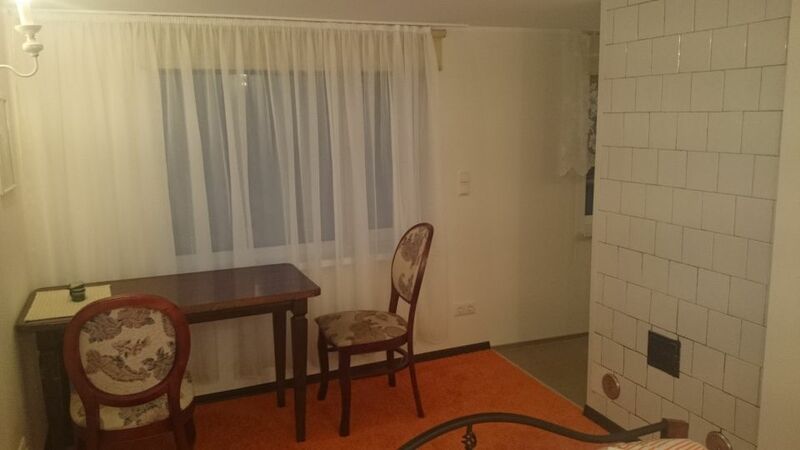 The room has bed linen and bath towels. Family room for 5 people has 2 bedrooms. 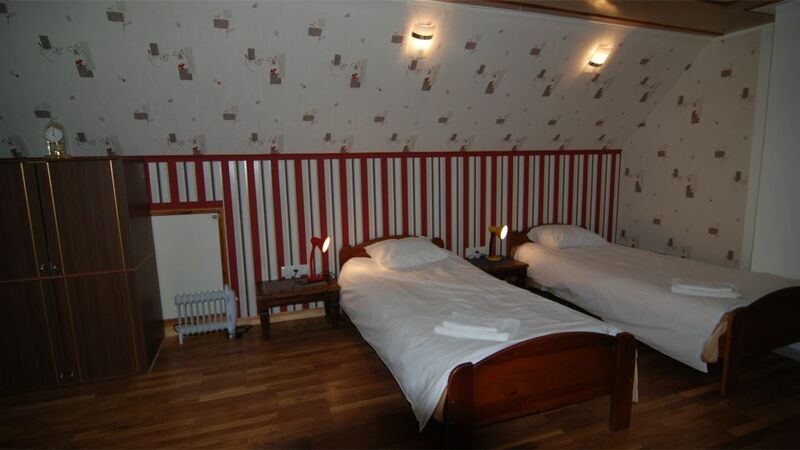 The open room has 2 single beds and the back room has 1 double bed and 1 single bed. The bedrooms are on the first floor. 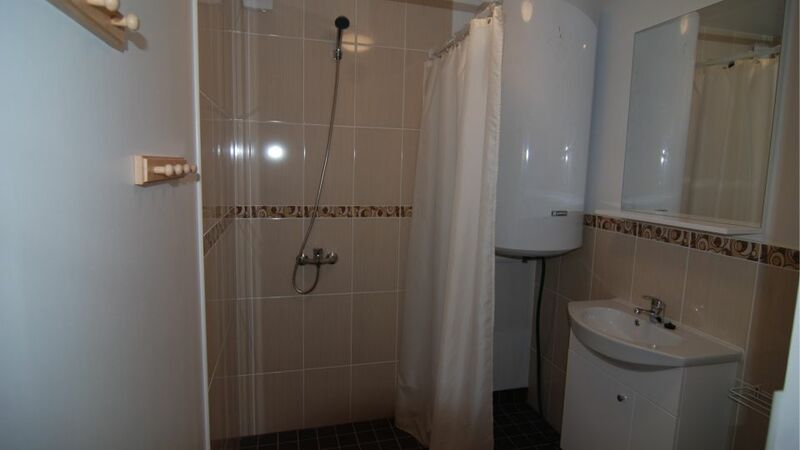 Private toilet/shower on the ground floor. 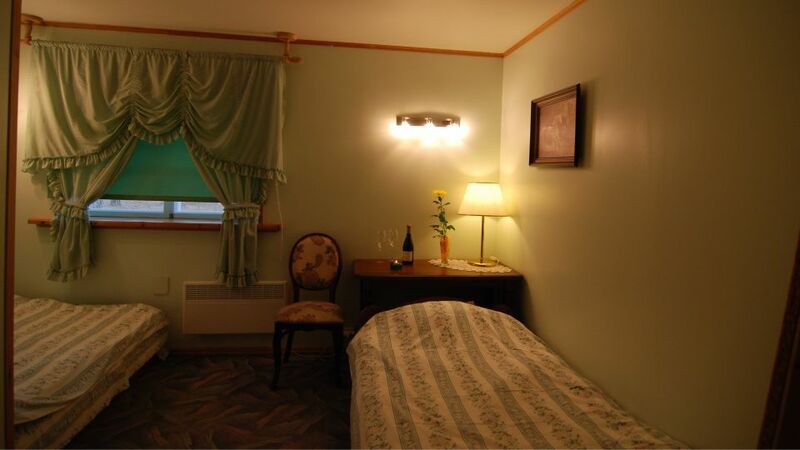 Guest house room for 4 people has 2 double beds and a private toilet/shower. 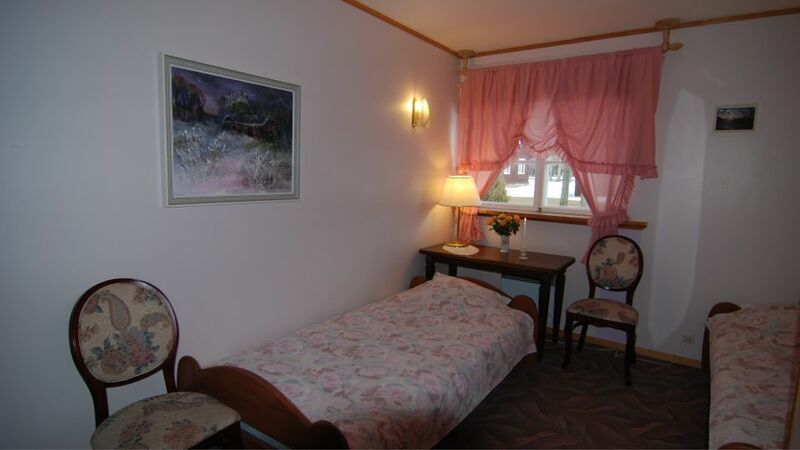 The room has bed linen and bath towels. Small seating nook. 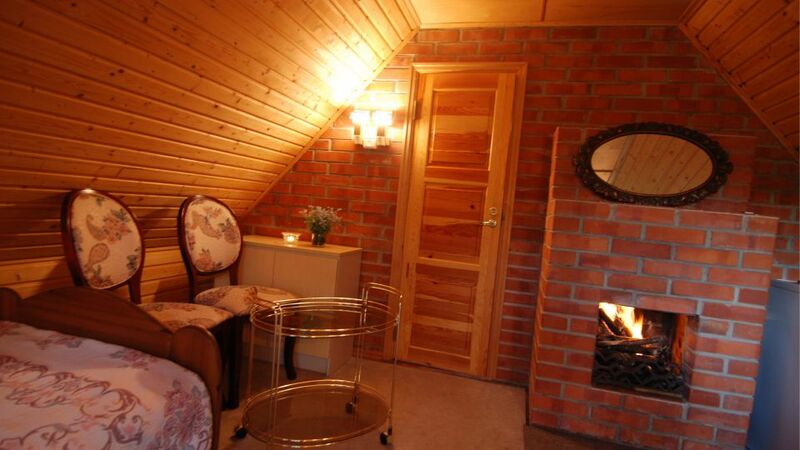 Private room for 2 people is located above the barn (the stairs are quite uncomfortable). The attic room has a private toilet/shower. 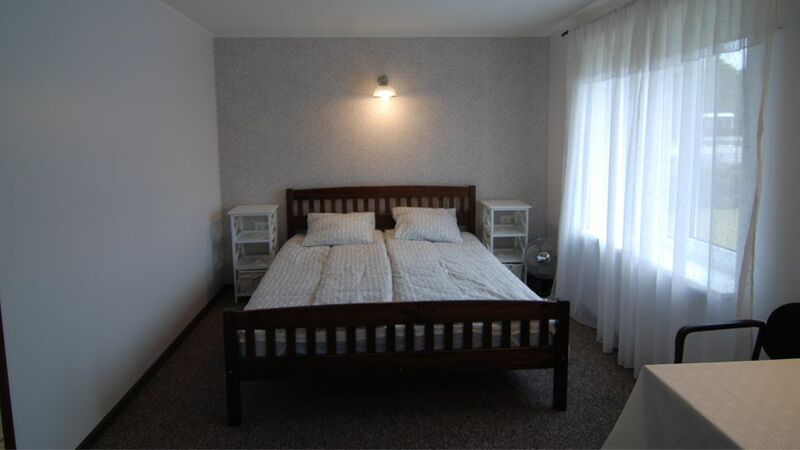 The room has 2 single beds that can be moved together. A child aged 1-6 years may join their parents free of charge. 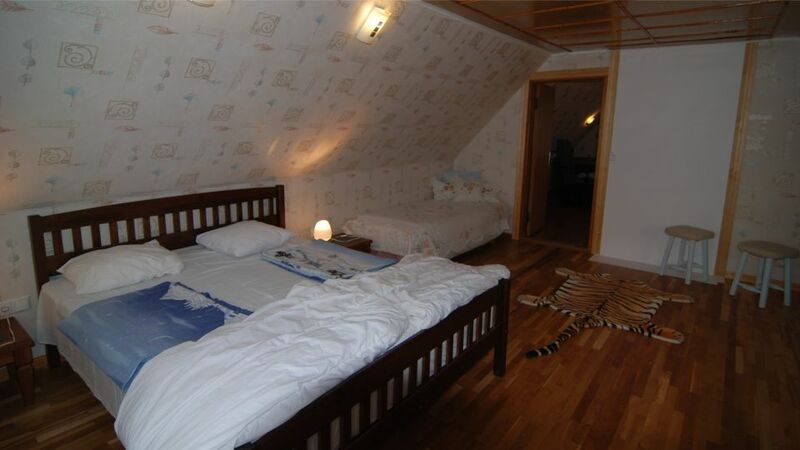 There are bed linen and bath towels for two people. 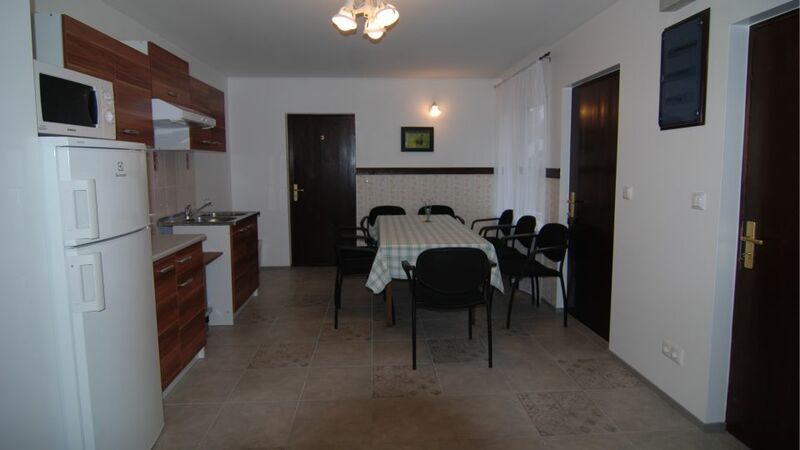 There is a fridge, a coffee maker and a few dishes, so you can dine privately. You can also use an outdoor kitchen (free of charge), where there are more kitchen supplies. 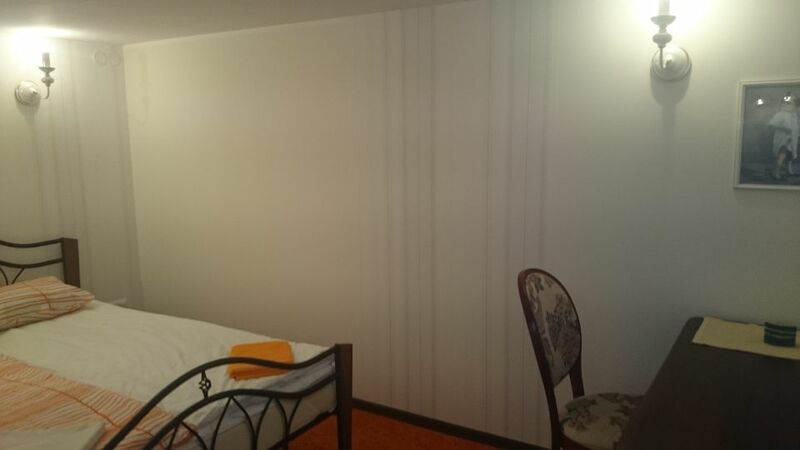 The room has a fireplace and also an electric radiator. 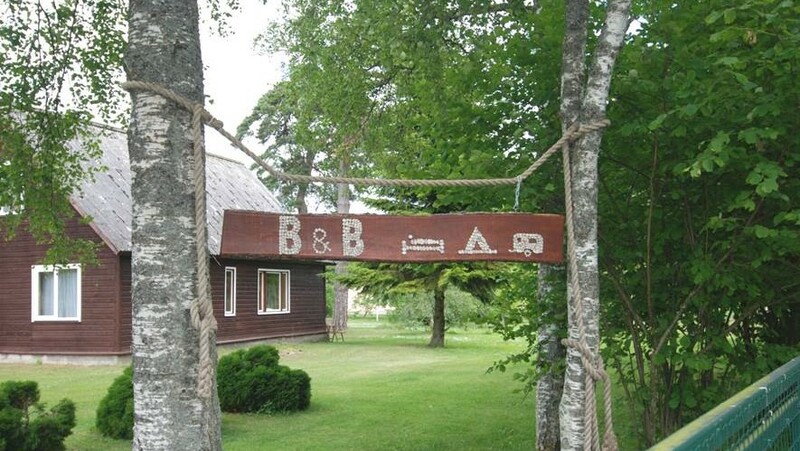 In front of the barn, there is patio furniture and a barbecue station. You can park your car at the nearby main house parking lot. 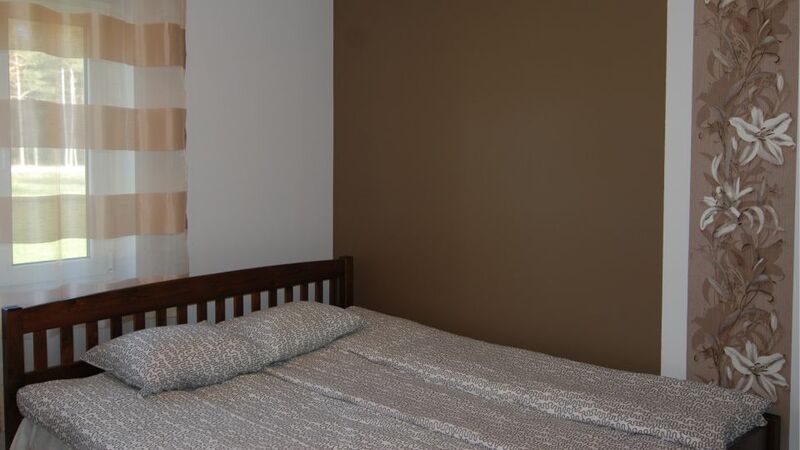 This small but cosy private part of the house has a double bed. 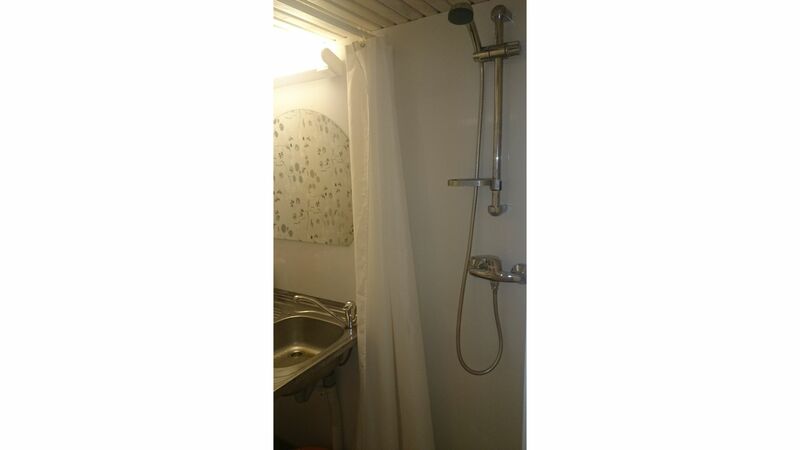 Small shower stall and a toilet. Kitchenette has a fridge, small stove, microwave, electric kettle, kitchen supplies and dishes. There is patio furniture and barbecue equipment outside. 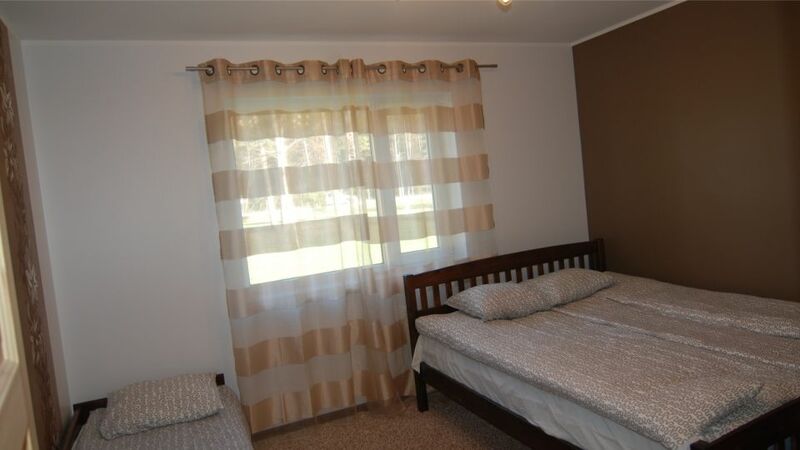 The room has bed linen and bath towels. You can park your car next to this part of the house. 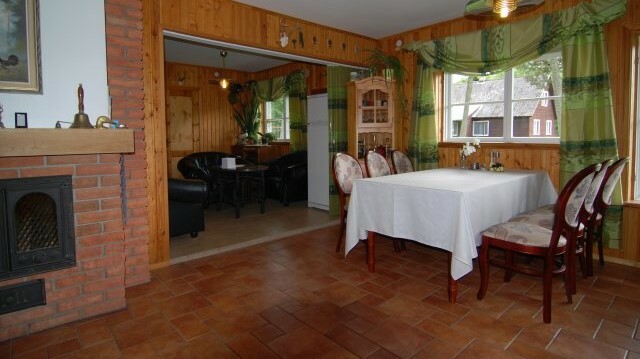 The part of the house with a sauna has 2 bedrooms. 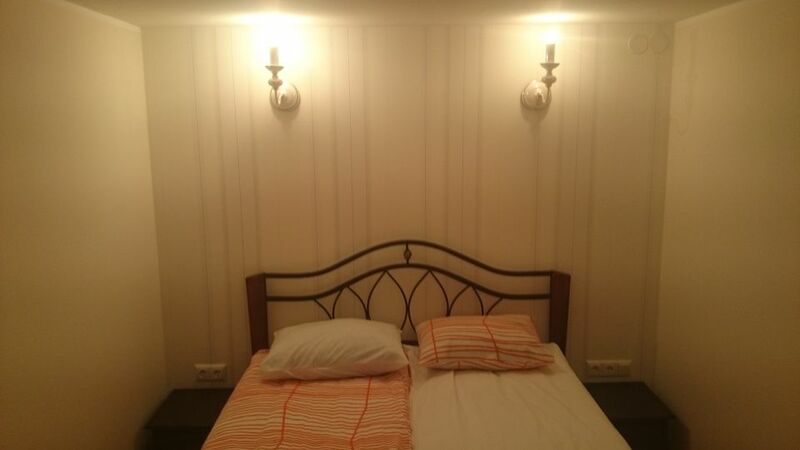 Bigger room has 1 double bed and 1 single bed. 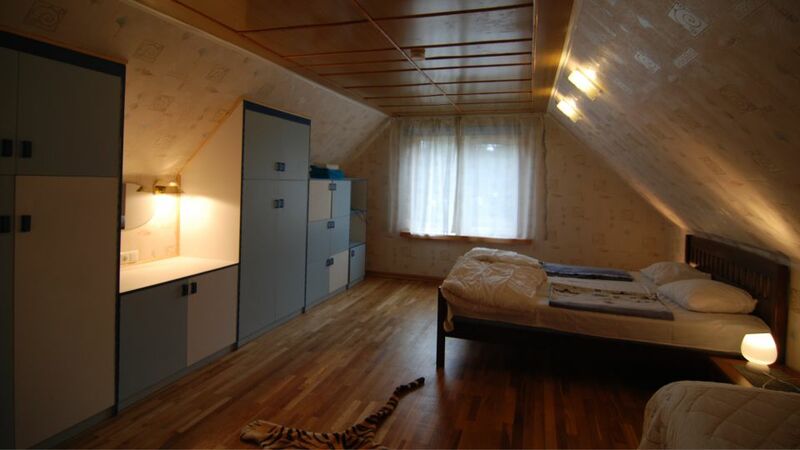 Smaller bedroom has 2 single beds. Bed linen included. 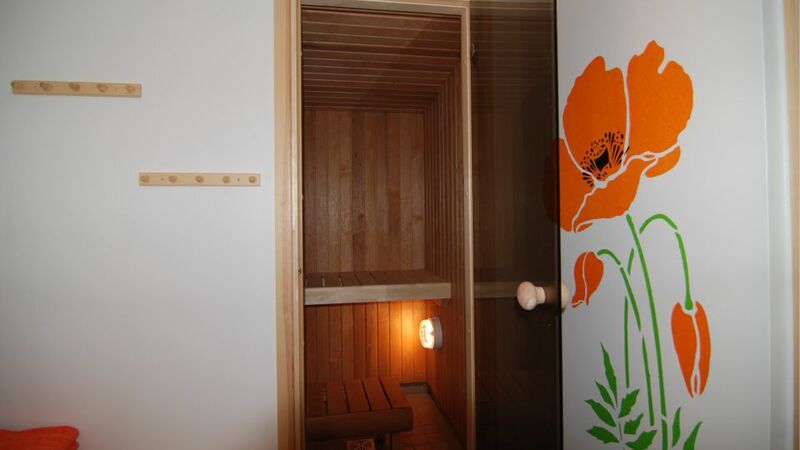 Sauna has an electric heater. Bath towels. The TV shows local channels. Bathroom has a washing machine. 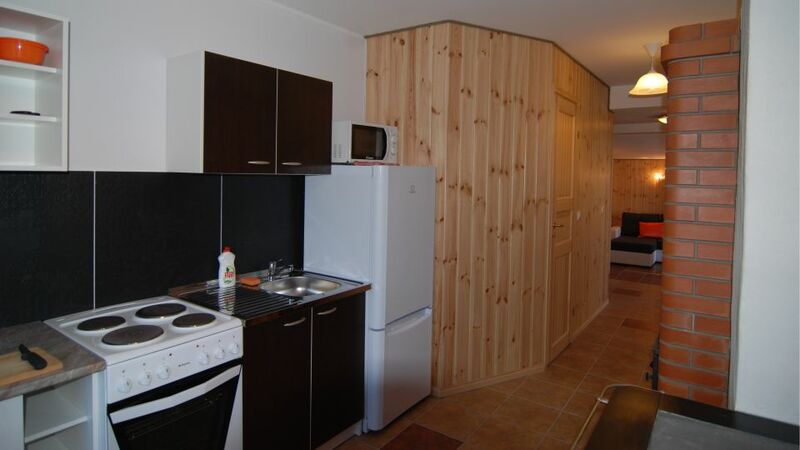 Kitchen has a stove/oven, fridge, microwave, kettle, kitchen supplies and dishes. There is patio furniture and barbecue equipment on the terrace. Stone floors have heating. 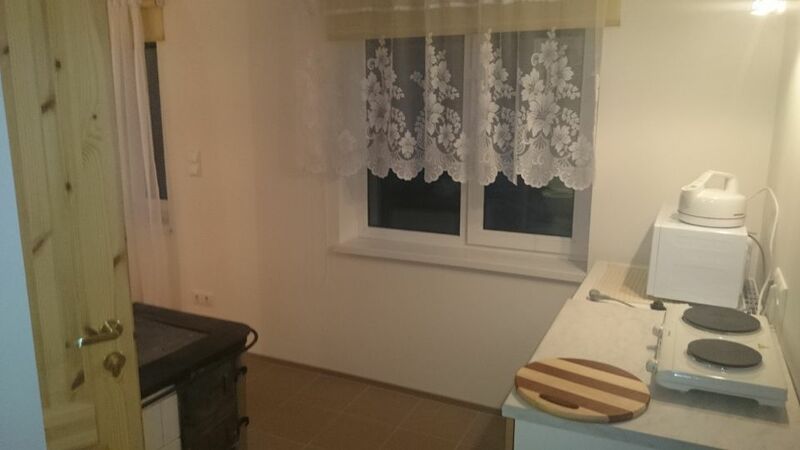 During winter, the oven can also be used for heating. 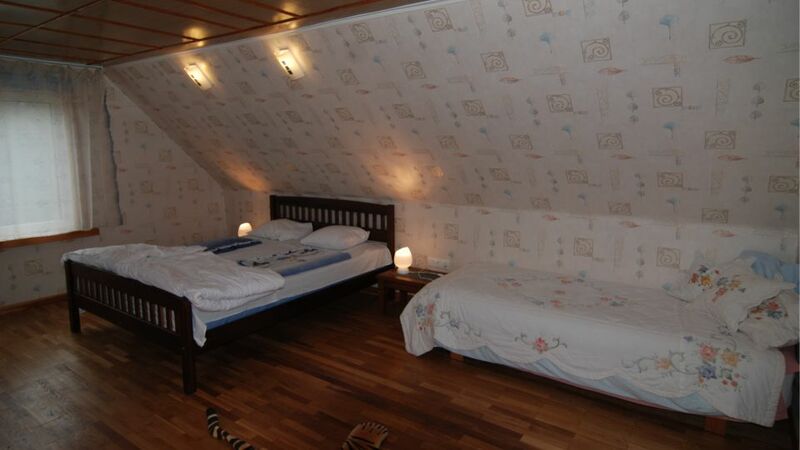 A small separate house that has 2 double beds on the ground floor and 2 single beds on the attic floor. Dining table. Bed linen. Bath towels. Toilet and shower are in a separate outdoor kitchen facility. Use of the outdoor kitchen is free for overnight guests. 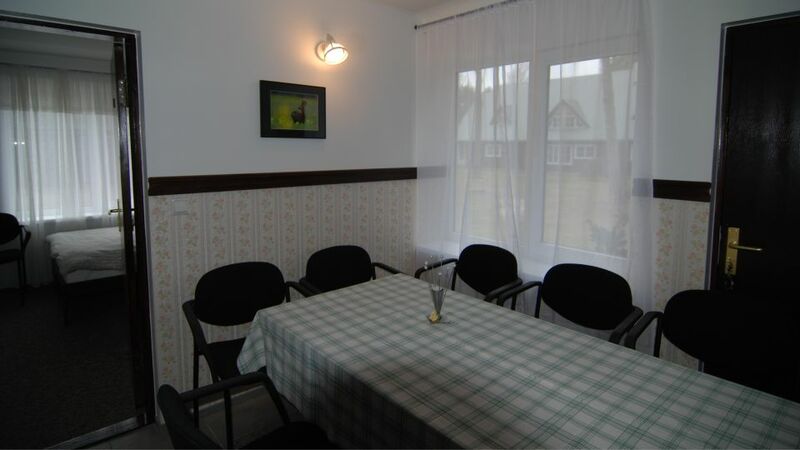 In front of the house there is a dining table for 6 people and a hanging chair.